Now on display in the at the San Francisco Planning Department offices (4th floor reception area, 1650 Mission Street, Suite 400, San Francisco, CA 94103) is a special exhibit featuring a collaboration between the Planning Department, Sloat Elementary School and UC Berkeley’s Center for Cities + Schools. We asked first graders in Ms. Siddle’s class to take on the real world challenge of retrofitting their neighborhood for sustainability and making it friendlier for children and families. 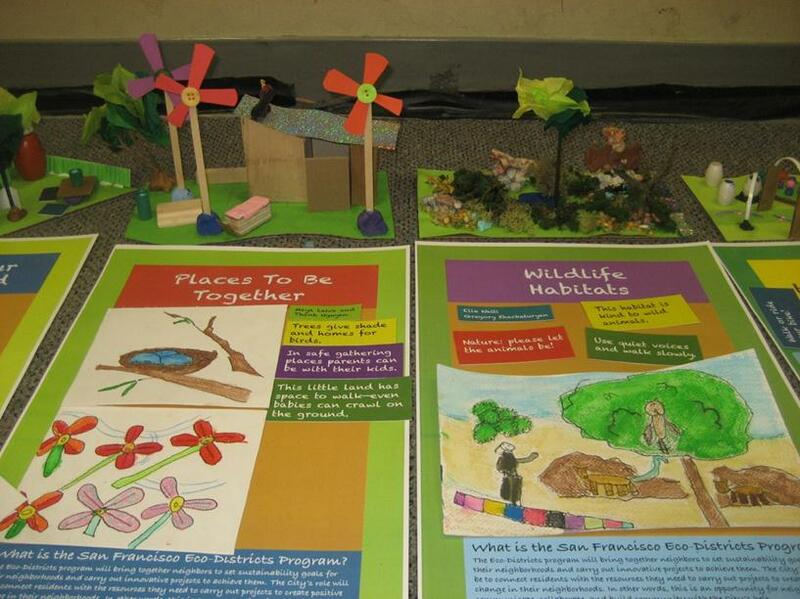 The students identified components of a sustainable neighborhood or ‘eco-district’ and illustrated these concepts in scale models and posters. Please check out their ideas for renewable energy, food production, public gathering spaces, wildlife habitats and more! 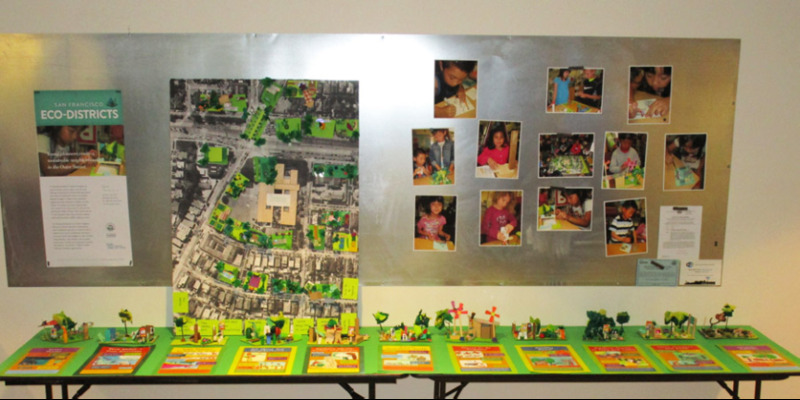 The SF Planning Department’s Eco-District Program is exploring the creation of “eco-districts” in both the Central SoMa and Chinatown neighborhoods. Eco-Districts are dedicated to accelerating neighborhood-based sustainability through strategies such as district-scale water recycling and energy generation, green building retrofits, waste reduction and ecosystem enhancement. Special ‘Thanks’ to: Lulu, Shirl Buss (Y-Plan/ UC Berkeley Center for Cities & Schools), Sarah Marshall (Architect), Ms. Siddle (First Grade Teacher) and her class!